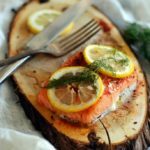 This simple Cedar Plank Salmon with Lemon and Dill is infused with the subtle flavor of smokey cedar. I was in love with my first bite. 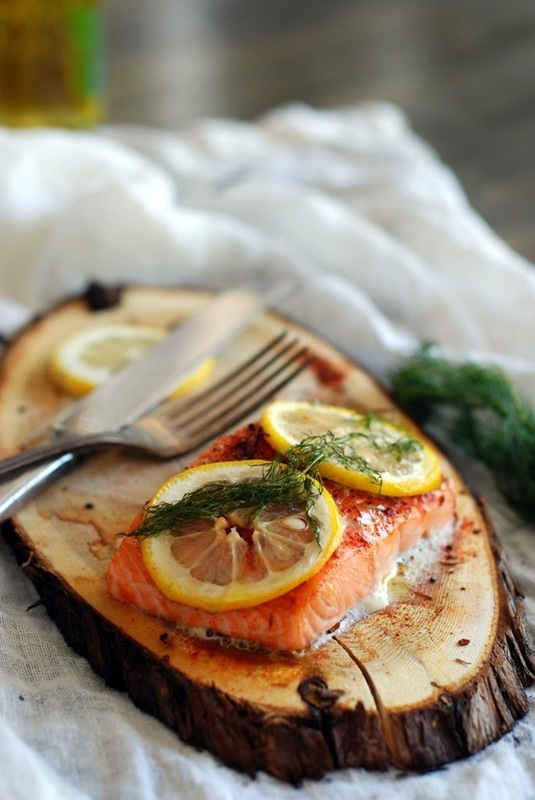 Using a cedar plank for grilling salmon does double duty. As the cedar plank begins to smoke underneath, it releases a sweet smoke that will infuse the salmon while adding moisture at the same time. 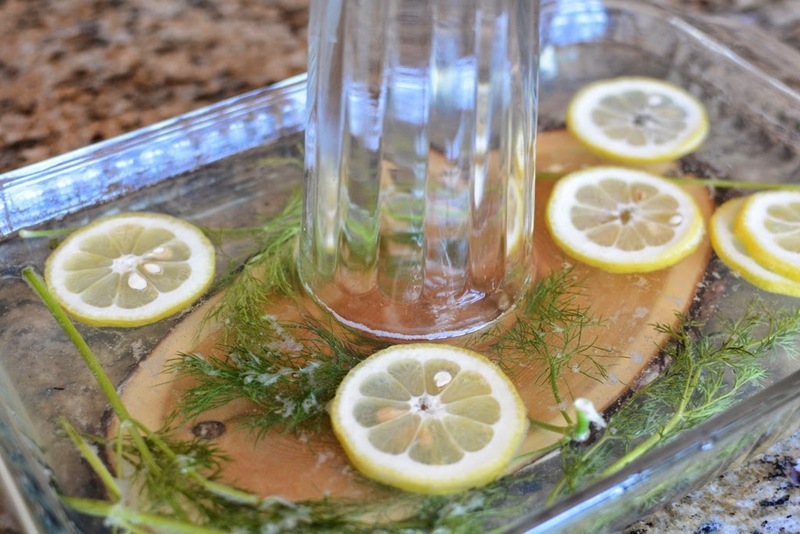 Soak cedar planks in a liquid for at least 30 minutes prior to cooking. If the plank isn’t soaked, it will catch fire on the grill. Try other liquids for soaking the plank. Choose from juices to wine. The salmon will absorb the moisture and flavor from the plank. Pour enough water into a dish large enough to hold the cedar plank. 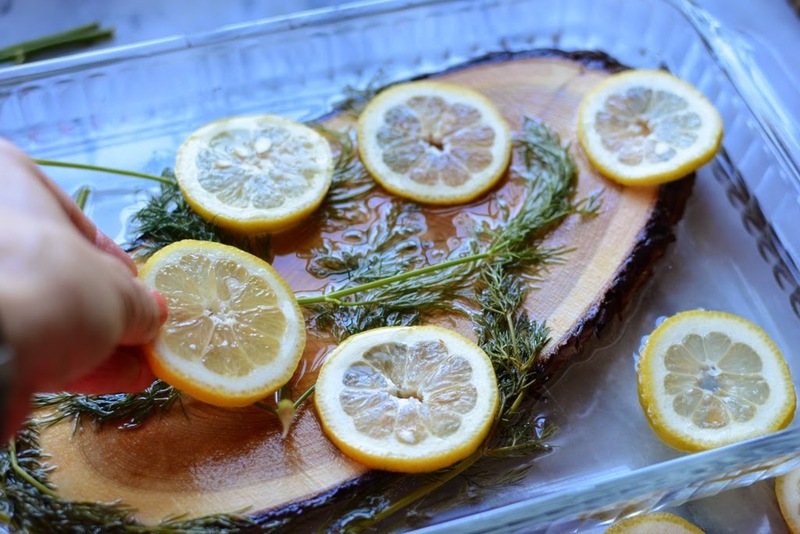 Add fresh or dried dill along with several lemon slices. Cedar planks like to float. Placing a heavy object on top will hold the plank down. Set aside for at least 30 minutes or so. Heat the grill or oven. After soaking each cedar plank, remove them from the liquid. 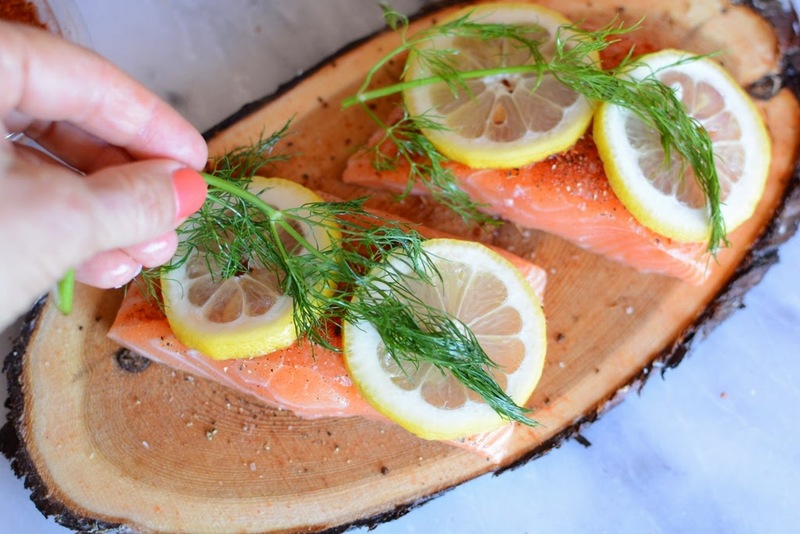 Place the salmon fillets on the plank. Sprinkle salmon sea salt and fresh ground black pepper. 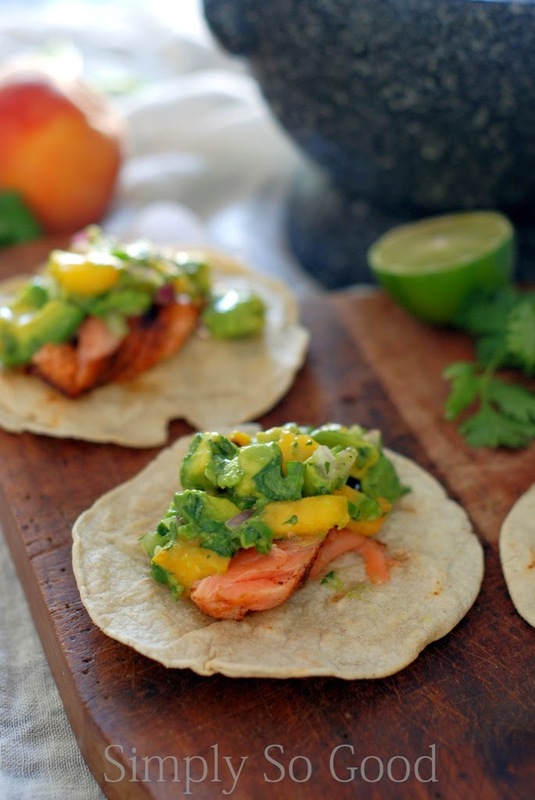 Feel free to add any of your favorite Salmon spices. 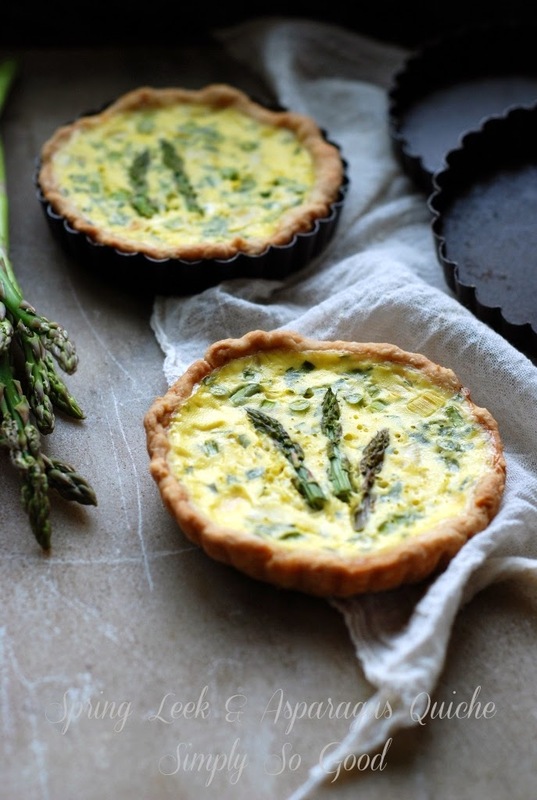 Top with lemon slices and a few sprigs of fresh dill. Thyme is really delicious. Place on a preheated grill or oven that is between 350 – 400 F. Close the lid on the grill and cook the salmon for 10-12 minutes. 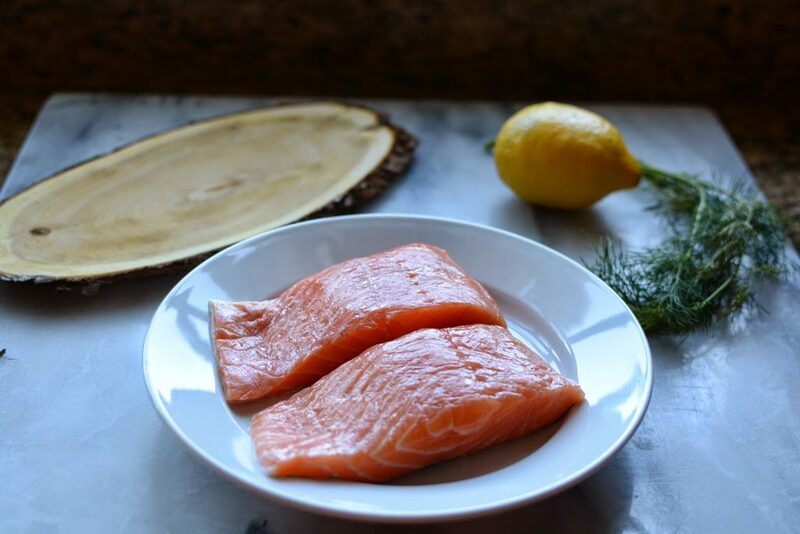 The salmon is cooked when white milky juices that start to ooze out of the salmon and onto the plank. Cedar planks can be reused but it’s not recommended. Keep in mind the plank takes on the flavor of whatever you grilled on it, and some of the essential oils from the wood will be used up from the first round of grilling. So the next round of grilling may not have the same flavor. 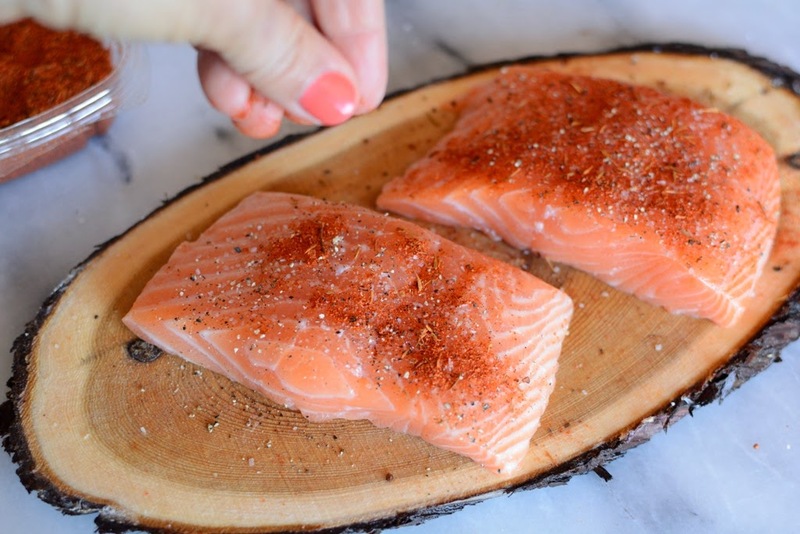 Cedar planks can be used in the oven. Make sure you soak the plank as directed above. Soaking the plank creates steam from the heat of the oven, and that’s how the cedar flavor will be carried into your food. Cedar planks can be used on a smoker. Soak the planks with the wood chips you are using. 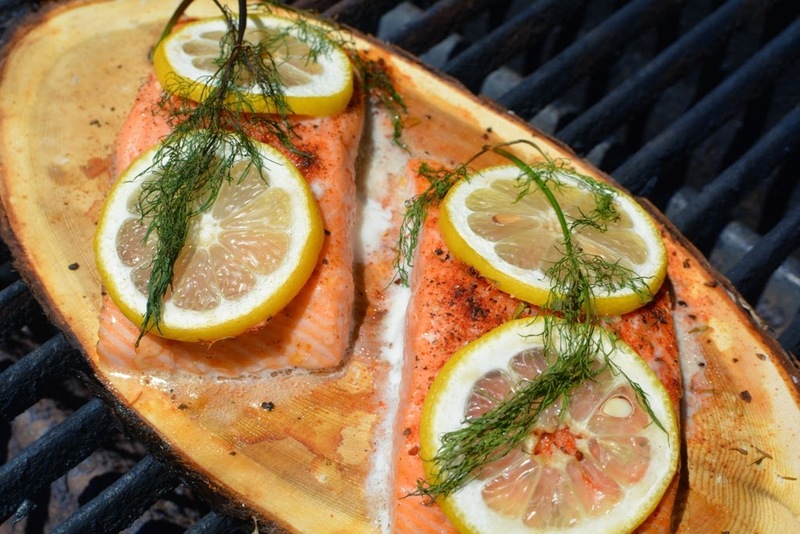 LIght the grill at least 30 minutes prior to cooking the cedar plank salmon. 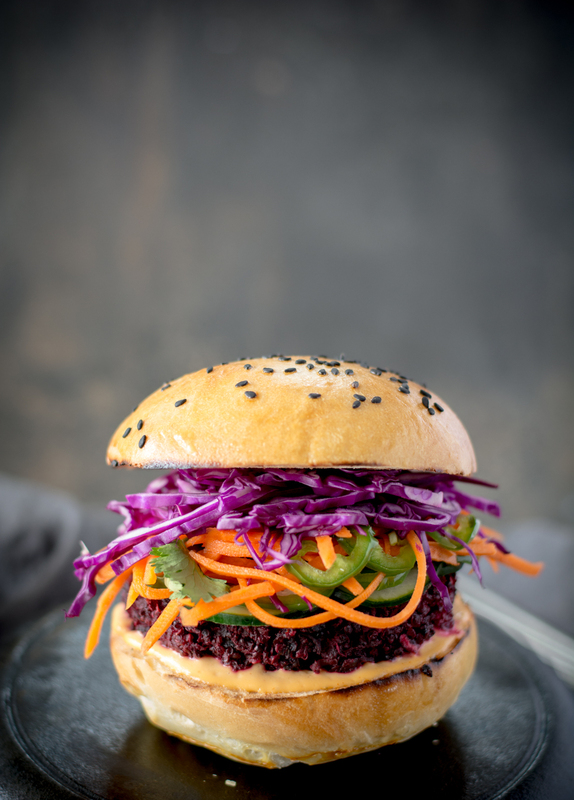 Try cooking other types of foods on a cedar plank as well. 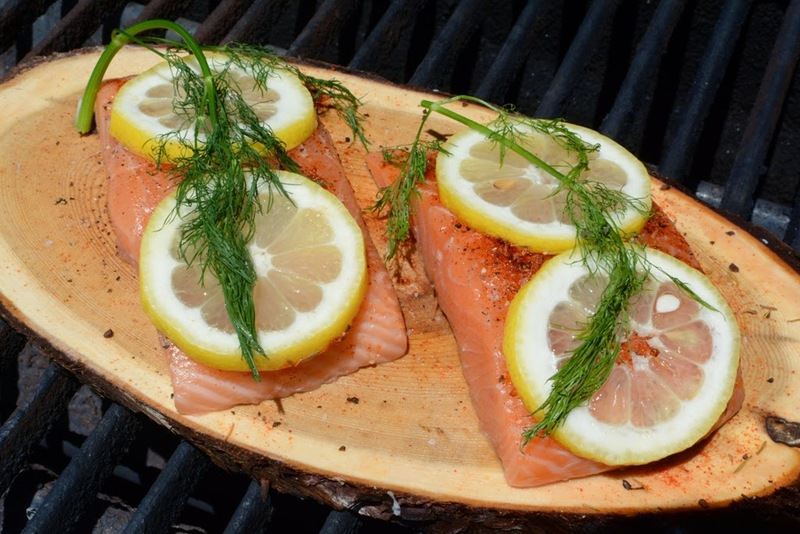 Fish is the most common, but chicken, pork, or beef can be cooked on a cedar plank. However, meats will not sear on a cedar plank. 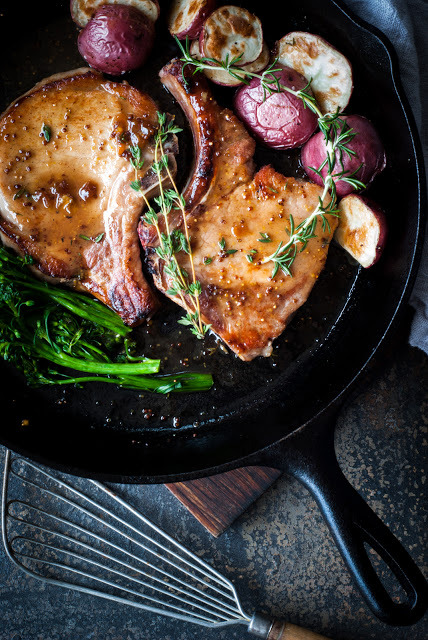 Try searing the meat prior to cooking on a plank. Try cooking Zucchini, asparagus, peppers, and mushrooms on a cedar plank. Pineapple, stone fruits, apples, and pears taste are delicious with the subtle cedar flavor. 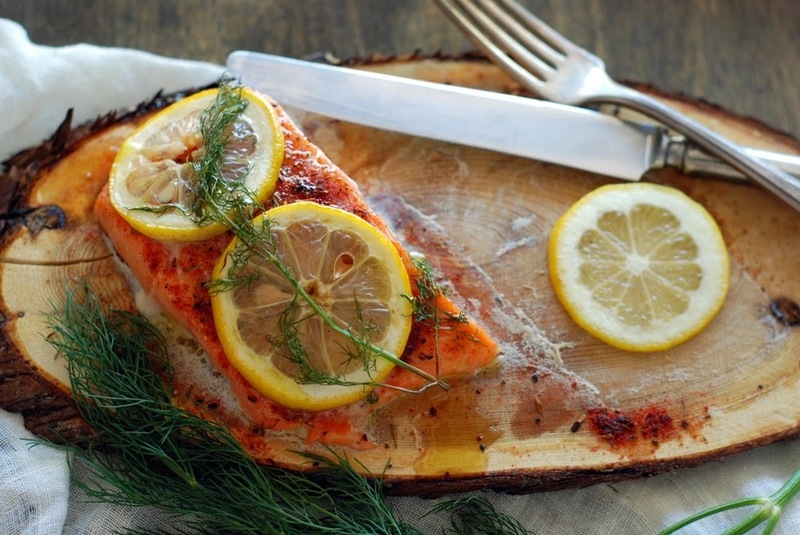 A cedar plank adds a lot of amazing flavor to this salmon. Even if you don't have a grill, it still works well in the oven. Place cedar planks in a container filled with water. Add lemon slices and fresh herbs. Let soak for 30 minutes. Remove planks from water. Place 2-3 salmon fillets per plank. Sprinkle with salt and pepper. Place on a preheated 350-400F degree grill. Watch heat carefully. Close lid and grill for 10-12 minutes depending on the size of the fillets. Option: If you don't have a grill, place the plank in a 350F oven and bake. You won't get the smoky flavor of the grill, but the cedar flavor should be lovely. 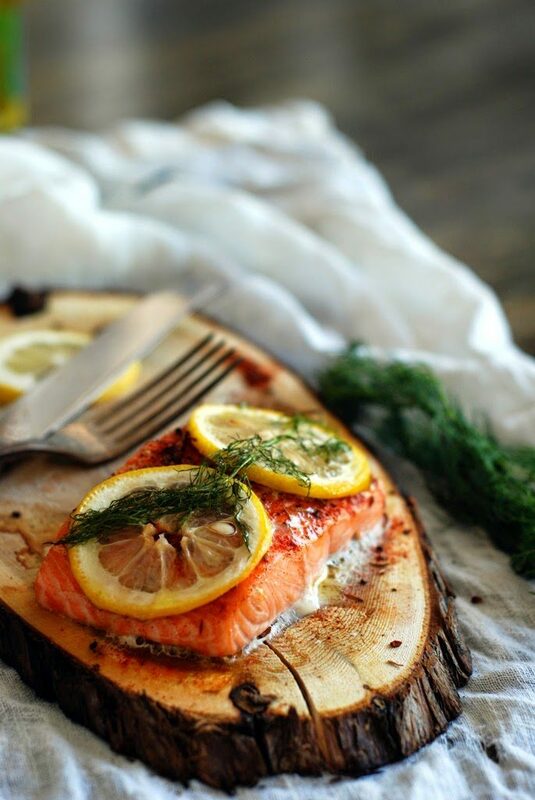 The cedar plank must be soaked in a liquid for at least 30 minutes prior to cooking. If the plank isn't soaked it will catch fire on the grill. You can use any liquid you choose from juices to wine. The salmon will absorb the moisture and flavor from the plank. You can reuse cedar planks but it's not recommended. Keep in mind the plank takes on the flavor of whatever you grilled on it, and some of the essential oils from the wood will be used up from the first round of grilling. So the next round of grilling may not have the same flavor. Cedar planks can be used in the oven. Make sure you soak the plank as directed above. Soaking the plank creates steam from the heat of the oven, and that's how the cedar flavor will be carried into your food. This recipe was previously posted in 2014 and has been updated with photo’s and updated printable recipe card. I agree he does need a good smack 😉 I live in Sandy if you need me to come do it sooner….hehe. I was wondering though with the cedar plank if you can reuse it or is it done after the first use? Ha ha thanks for having my back. I may need you soon. Yes, the plank can be reused. I have used the plank in the photo 4x now. The back of it is looking charred, but it still works great. I purchased a plank from Wholefoods the price was $4.99 per plank. After the salmon was removed and the plank began to dry it bowed quite a bit. I'm not so happy about that. Next time I'll place a heavy pan on top to prevent that. I'm spechless. Next time your husband refuses to eat something you cook, I'll fly all the way to the US and I'll smack him myself. BAHHHH!!! He's wondering why I'm laughing. He actually gave this recipe the thumbs up! I'm sure he'll need a good smacking someday soon. Let's keep in touch. Oh my, you made my day. Still laughing.